The English word “Pray” derives from a root word meaning “to beg or entreat.” Whereas the Hebrew word hitpallel comes from the verb meaning “to Judge oneself.” When we pray, we first inwardly examine ourselves and then sincerely call upon Yahuah with a reverent Heart. In Jewish thinking, devotion from the Heart, called kavanat ha lev, is considered essential to true prayer. Kavanah implies concentration, worship, and single-mindedness: you simply cannot reach Yahuah without earnestness and passion of the whole Heart. A Jewish sage wrote, Prayer without Kavanah is like a body without a soul,” suggesting that merely mouthing the “right words” of a prayer is empty hypocrisy if the inmost heart is not also profoundly involved. And will Yahuah, who is Spirit, listen to such insincerity from our lips? Yahusha spent a lot of time praying. He often went to a solitary place and prayed for hours at a time, especially at difficult times in His ministry Matthew 14:23, 26:36-41, Mark 1:35, Luke 5:16, 6:12. Yahuah's Prayer is Yahusha's model of the perfect prayer. First, we call Yahuah by the affectionate term "Our Father (ABBA)," and praise His holy Set Apart name. The words “Our Father” are probably the most important words of Yahuah’s Prayer. In the four Gospels, Yahusha led a life of prayer. He was always in communication with his Father. In every prayer where Yahusha words are recorded, he called Yahuah his Father and we should also. When Yahusha taught us to call Yahuah Our Father he was showing us something about our relationship with Yahuah . He was telling us that we should have a very close, intimate and personal relationship with Yahuah through Yahusha. Yahuah is the perfect, loving, Father. He cares about every one of His children, even when we sin, He still loves us. This close relationship reminds us that Yahuah is not distant; He is an essential part of our lives, present in everything we do. When we pray to Yahuah we know He listens and cares, because we are loved by Him. 'Who art in Heaven. Yahuah, though he is everywhere, dwells on his thrown in Heaven and we are just visitors upon this earth, and our true kingdom is the kingdom of Heaven and when we pray, we must detach our hearts from all earthly things, and raise them up in Spirit unto our Father which is in Heaven as is also Spirit. As believers our greatest task is to bring about Heaven here on earth. Every time we say something nice, or help someone out, or do any act simply out of love, we bring Yahuah’s plan one step closer. Heaven is our reward after death, when we are finally with Yahuah in his kingdom. Yet Yahuah is with us in this life, and as we live our lives as He desires, we see a glimpse of what Heaven can be here as well. Set Apart is your name. Dictionary Definition of Set Apart: ‘Your name is holy’. We are to esteem the honor and glory of Yahuah more than anything else in our lives, so that the name of Yahuah may never be profaned or blasphemed, but that Yahuah may be rightly known, loved, and honored by us and by all mankind. Thy kingdom come. That the kingdom of Yahuah may be spread more and more upon earth; That Yahuah’s Mercy, Grace and Love may be established in our hearts and lives. As believers we should want to see the day when Yahusha returns, to see everyone bow and acknowledge Yahusha as Messiah. Asking for Yahuah’s kingdom to come is the desire of our hearts, when he returns the sin and pain of the world will be no more. Violence, famine, addiction, sin, natural disasters, greed, loneliness will not continue. This is why believers must live for Yahuah and promote Yahusha’s Kingdom and pray for our King to return. Thy will be done on earth as it is in heaven. We desire Yahuah will be done in our lives and in the lives of all men on earth just as the Angels do in Heaven; and confess that in all things we submit ourselves to the holy will of Yahuah. We are asking for the fulfillment of Yahuah’s will for ourselves and for the world. In our personal life we are showing our desire to do Yahuah’s will and asking for his guidance. Admitting that on our own we are weak, but with Yahuah we can do all things. We are acknowledging Yahuah’s wisdom over our own and desiring to be led by the Ruach ha Kodesh. Even Yahusha was subject to his father’s will when he was on earth; at Gethsemane he prayed, “O my Father, if this cup may not pass away from me, except I drink it, thy will be done.” Matthew 26:42. Give us today our daily bread. We ask Yahuah to provide our daily needs for us and our family. If Yahusha had left out this request for personal needs we might think we are not to ask or trust him to supply our daily requirements, thus we would not be dependant or recognize who sustains our every need. However, Yahuah shows us that he not only cares for our needs but that He wants us to acknowledge that we are dependent upon Him, the great Provider of all “good gifts” Matthew 7:11. He teaches us how to ask for what is sufficient for today so that we realize we have a constant reliance on Yahuah. Like the children of Israel who lived in the desert for 40 years and were given sufficient “manna” each day and no more, so we should realize that what we have has been provided by Yahuah. We should trust not in the provision but in the Provider. It is easy to forget the Provider and become greedy and selfish and forget Yahuah’s gifts to us. In asking only for the basic necessities of life (food, shelter, clothing, warmth etc), Yahuah teaches us that we are not to be obsessed with material things, but should trust Him alone to provide us with what we need for today and be content with His provision. “Man shall not live by bread alone; but man lives by every word that proceeds from the mouth of Yahuah” Deuteronomy 8:3. Yahuah gives us more than bodily nourishment. Yahusha is referred to as the “Bread of Life” John 6:35blessings through faith in him. The blessing of Yahuah, it maketh rich, and he addeth no sorrow with it Proverbs 10:22. Ultimately we are to acknowledge Yahuah as our Provider, ask for necessary provisions, then trust in Him because He knows what is best for us: We should learn to come to him daily and to ask him to provide for us and others the things we need. This is a good reason why we should give thanks to Yahuah before our meals, to praise Him for what we have already and what He will provide. Forgive us our debts, as we also have forgiven our debtors. We must ask for forgiveness of our sins, we must also forgive those who sin against us Matthew 5:44, 6:14-15, Luke 6:28. That Yahuah would forgive us all our sins as we forgive others who have sinned against us. Luke 6:37. For Thine is the kingdom, the Power and the Glory, for ever and ever, Amen.” This last passage not only shows our acknowledgement of Yahuah, that it is Him to whom we pray, but illustrates why we pray. A prayer without confidence that Yahuah can accomplish what is asked for is foolish; it is in this phrase, for Thine is the Kingdom, the Power and the Glory, for ever and ever, through which we express our knowledge of the Yahuah to whom we pray and his power and the glory which we give to him alone. Yahuah’s kingdom is the Kingdom that we aspire and work towards the expansion of, through evangelism and witnessing. His is the Power in which we trust for our salvation and for his Glory to which we work. We offer up this prayer to Him in recognition of his Power and his love of us. The majority of the world's population, believes praying is about reading or reciting words that someone else has written. There are rituals and liturgies, where the words must be said in the right way and order and at the right time otherwise they are invalid. For most religious people prayer is most effective when it sounds right, looks right and when the ritual is performed right. Everything changed when Yahusha came, he would pray on a hillside as naturally as he prayed in the temple, he spoke to Yahuah in a refreshing and straightforward way, as though he were talking to a father. He taught us to pray in the same way. The important thing is when we pray Yahuah’s Prayer or any prayer from memory or even in our personal devotions, what is it that we are thinking about when we pray. Are we saying it because we know the words? This is not praying and will accomplish nothing. I would assume that anyone who prays anything from memory is indulging in vain repetition and not really praying from the heart. I believe we should useYahuah’s Prayer as a pattern for our prayer life. What Yahusha taught his apostles is a structure for prayer that starts with praise, followed by our needs (daily bread) and then asking for forgiveness and ending with more praise. It’s a simple pattern and covers everything. What does Scripture say about prayer? Yahuah wants to hear our prayers from the heart. He wants us to have faith in him and be persistent with our requests, be humble and ask forgiveness, be bold and make our requests known to Him. 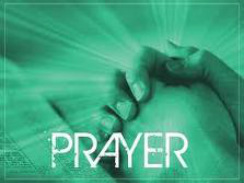 Yahusha gave us a prayer that we can learn to recite or use as a pattern for our own prayer. Prayer is the way that we communicate with Yahuah. It can have many purposes and formats. Scripture is full of advice on how to pray; Yahusha himself prayed to his Father often and gave his apostles a model for speaking to Yahuah. Yahusha has broken down the barriers that existed because of our unworthiness and sins and made a way for us to enter Yahuah’s presence. We do not rely on our own merits, but we are invited in by his grace. Therefore we enter in humility, giving thanks for our admission and acceptance in Yahusha, and for the knowledge that through Yahusha our prayers are heard and answered. “When you pray, go to your room, close the door, and pray to your Father, who is unseen.” Matthew. 6: 6 Scripture teaches that Yahuah wants us to pray to Him and tell s us how. When you have relevant Scripturesto back up your request, you have good reason to have faith in Yahuah for what you are asking for. There are some things that Scripture tells us to ask Yahuah for and some of the obvious requests should be; salvation, healing, provision, deliverance, and protection. These are promises that are in Yahuah's Word and you need to know them. You also need to know how simple it is to qualify to claim all of these things that are promised. When you really get a vision of just how much Yahuah loves all of us, then you begin to understand Yahuah's heart, and then you should pray accordingly. Bring all you’re prayers into conformity to the Word of Yahuah which the Spirit inspires 2 Peter 1:21; 2 Timothy 3:16-17. Yahuah calls us to be in his Word every day and to pray in the Spirit at all times. If study the Word of Yahuah daily, meditating on it day and night, then your prayers will be shaped by the Word, which means they will be shaped by the Spirit.” Not only to be moved by the Spirit in prayer, but to be guided by the Spirit in prayer. And since this is something we are called to do, our role is to take what we know about Yahuah’s will from the Word and saturate our prayers with it. The Greek word "en" translated in "in the Spirit" as "in" can mean "in", "with", "together with", or "by." Praying in the Spirit means; “the Ruach ha Kodesh is the moving and guiding power.” The key words are “moving” and “guiding power.” In other words, when you pray in the Ruach ha Kodesh, the Spirit of Yahuah is “moving” you to pray. That is, he is the one who motivates, enables and empowers your prayer. And when you pray in the Ruach ha Kodesh, the Spirit of Yahuah is “guiding” how you pray and what you pray. So, to pray in the Ruach ha Kodesh is to be moved and guided by the Ruach ha Kodesh in prayer. We pray by his power and according to his direction. Our prayers are not only “moved” by the Spirit, but also “guided” by the Spirit. This is no surprise, because if the Ruach ha Kodesh is prompting and enabling and empowering our prayers and does so in a way that represents his nature and his Word. If the Spirit is moving us to pray, then he would move us according to his will and Word. So praying in the Ruach ha Kodesh would mean experiencing the power and the guidance of the Spirit to help us when we are foolish, greedy or selfish. “When you ask, you do not receive, because you ask with wrong motives James 4:3, that would not be praying “in the Ruahc ha Kodesh.” That would be praying “in the flesh” or in your own sinful nature. Praying in the Spirit is prayer inspired by the Spirit. The Ruach ha Kodesh directs our prayer, creates the prayer within us, and empowers us to offer it and pray it. The Ruach ha Kodesh orders our mind, gives the prayer, directs it, and empowers it. Praying in the Spirit is asking for the Spirit's help in what we are to pray. We are reassured that the Ruach ha Kodesh intercedes for us as we do not know what to ask for, we can be confident that the Spirit knows our needs and the needs of others that we are to pray for, and leads us in a prayer that is in line with God's will. When Yeshua (Jesus) ascended into heaven the Ruach ha Kodesh was given and Yahuah himself took up residence in his people, if you are a believer you are a temple for the Ruach ha Kodesh and therefore the Ruach ha Kodesh lives within you! Enabling a believer to personally engage with Yahuah heart to heart and spirit to Spirit, this is praying in the Spirit. So now there is no condemnation for those who belong to Yahusha and because you belong to him, the power of the life-giving Spirit has freed you from the power of sin that leads to death. He did this so that the requirement of the law would be fully satisfied for those who no longer follow after their sinful nature but instead follow the Spirit. Scripture tells us to “Wait upon Yahuah”. It is an important theme in scripture and a powerful spiritual discipline. Praying in the Spirit will require some listening and waiting. So, Spirit empowered prayer will reflect on what the Spirit wants: it will help you if you take time to listen to Yahuah's word and let it speak to you before you put into words what it is Yahuah has placed on your heart. Praying in the Spirit is prayer led by the Spirit. We are raised to think of prayer as a technique we use to get things from Yahuah, the purpose of prayer is not to control Yahuah but to let him rule us. It is often said that prayer changes things; this is true, but prayer in the Spirit is meant to change us! When we learn to recognize the Ruach ha Kodesh’s prompting us we will learn to Pray as the Spirit leads. This is praying in the Spirit. This will help you to pray in the Spirit if you take some the time to listen and wait upon the lord; while you’re studying your Bible, let Yahuah’s word give you a prompting. Learn to recognize Yahuah’s prompting, learn to distinguish it from mere wishful thinking, respond to his prompting in your prayers. Never resist the prompting of the Ruach ha Kodesh. What you pray to Yahuah is of enormous significance. Yahusha told a story about two men who went into the temple to pray. The first was articulate, confident and religious: he saw himself as one of Yahuah’s elite. He strode into the presence of Yahuah and made a beautiful speech. This is how Yahusha described it: “The Pharisee stood up and prayed about himself; ‘Yahuah I thank you that I am not like other men - robbers, evildoers, adulterers - or even this tax collector. I fast twice a week and give a tenth of all I get’”. Yahusha description is withering, “He prayed about himself”. The other guy in the story was quite different, Yahusha said, “He stood at a distance and would not even look up to heaven”. It is clear that he felt like a second-class citizen in Yahuah’s eyes; he would never be a member of the elite. So “He beat his breast” Yahusha said, and prayed, “Yahuah have mercy on me, a sinner”. He came as an ordinary person, and he saw that he needed all the help he could get. Do you want to be kept from the destructive effects of the last days? Yahusha says, “Pray that you may be able and to stand before the Son of Man,” when he comes. “Praying in the Spirit” is not a special form of prayer, like speaking in tongues. We can tell this because Paul says in Ephesians 6:18 that we should pray “at all times” in the Spirit. In other words, all prayer should be “in the Spirit.” Praying in the Ruach ha Kodesh is not one form among several. It is the way all prayer is to be offered. Paul says, “The Spirit also helps our weakness; for we do not know how to pray as we should, but the Spirit Himself intercedes for us with groaning too deep for words.” Romans 8:26. This shows that one thing the Ruach ha Kodesh does for us is to lead us in prayer. So it is natural to understand “praying in the Ruach ha Kodesh to mean praying with the help of the Ruach ha Kodesh. Paul says, “You have received a spirit of adoption as sons by whom we cry out, ‘Abba Father!’ The Spirit Himself testifies with our spirit that we are children of Yahuah.” Romans 8:15-16. The Spirit of Yahuah gives us the assurance that we are children of Yahuah by causing us to cry out from the heart in prayer “Abba, Father.” The Spirit moves our prayers; He motivates, enables and empowers our prayers. Intercessory prayer is a ministry in itself. "Since the day we heard about you, we have not stopped praying for you." Colossians 1:9. Intercession is a test of our unselfishness in prayer. You don't have to know someone personally to pray for them. As we pray for others, ask Yahuah to put it in their hearts to seek first his kingdom and his righteousness and that they may be guided in his Way. Praying in these ways for others is a form of loving your neighbor as yourself. It is a means of proclaiming the Gospel; it is a form of serving. Intercessory prayer is not the same as prayers for yourself or for enlightenment, for spiritual gifts, for guidance or any personal matter. Intercession is not just praying for someone else's needs, Intercession is praying with real faith that Yahuah will step in and act for the positive advancement of something specific, someone specific or an entity. It is trusting Yahuah will act, even if it's not in the manner or timing we seek. Yahuah wants us to ask, even urgently. It is casting our weakness before Yahuah's strength, and having Yahuah's passion burn in us. An intercessor is one who takes the place of another or pleads another's case. Intercession is "holy, believing, persevering prayer whereby someone pleads with Yahuah on behalf of another or others who desperately need Yahuah's intervention. Scriptural basis for the New Testament believer's ministry of intercessory prayer is our calling as priests unto Yahuah. The Word of Yahuah declares that we are a holy priesthood 1 Peter 2:5, a royal priesthood 1 Peter 2:9, and a kingdom of priests Revelation 1:5. The background for understanding this calling to priestly intercession is found in the Old Testament example of the Leviticus priesthood. The priest's responsibility was to stand before Yahuah to minister to Him with sacrifices and offerings. The priests also stood between Yahuah and sinful man bringing them together at the place of the blood sacrifice. The Old Testament Leviticus priesthood was passed on through the descendants of the tribe of Levi. "The Melchizedek priesthood", is the "new order" of spiritual priests of whom the Yahusha is the High Priest. It is passed on to us through His blood and our spiritual birth as new creatures in Yahusha and are commissioned to be Yahusha like. Yahusha is our model for intercessory prayer, he stands before Yahuah and between sinful man, just as the Old Testament priests did: For there is one God, and one mediator (intercessor) between Yahuah and men, the Messiah Yahusha 1 Timothy 2:5. It is Yahusha who died, and furthermore is also risen, who is even at the right hand of Yahuah, who also makes intercession for us Romans 8:34. Therefore He is also able to save to the uttermost those who come to Yahuah through Him, since He always lives to make intercession for them Hebrews 7:25. Yahusha brings sinful man and a righteous Yahuah together at the place of the blood sacrifice for sin. No longer is the blood of animals necessary as it was in the Old Testament. We can now approach Yahuah on the basis of the blood of Yahusha that was shed on the tree of Calvary for the remission of sins. Because of the blood of Yahusha, we can approach Yahuah boldly without timidity Hebrews 4:14-16. Yahusha was an intercessor while He was here on earth. He prayed for those who were sick and possessed by demons. He prayed for His disciples. He even prayed for you and me when He interceded for all those who would believe on Him. Jesus continued His ministry of intercession after His death and resurrection when He returned to Heaven. He now serves as our intercessor in Heaven. In intercessory prayer, we follow the Old Testament priestly function and the New Testament pattern of Yahusha, standing before God through Yahusha and on behalf of a sinful man. In order to be effective standing "between" we must first stand "before" Yahuah through Messiah Yahusha to develop the intimacy necessary to fulfill this role. Numbers 14 is one of the greatest accounts of intercessory prayer recorded in Scripture. Moses was able to stand between Yahuah and sinful man because he had stood "before" Him and had developed intimacy of communication. We stand before Yahuah to offer up spiritual sacrifices of praise. Hebrews 13:15 and the sacrifice of our own lives Romans 12:1. It is on the basis of this intimate relationship with Yahuah that we can then stand "between" Him and others, serving as an advocate and intercessor on their behalf. Peter uses two words to describe this priestly ministry: "Holy" and "royal." Holiness is required to stand before Yahuah Hebrews 12:14. We are able to do this only on the basis of the righteousness (Holiness) of Yahusha, not our own righteousness. Royalty is descriptive of the kingly authority that is delegated to us as members of the "royal family," with legitimate access to the throne room of Yahuah. Anyone can pray for others and step in with Yahuah on their behalf. But some people are gifted at intercession. They have an ear and a passion for the needs of others and take them before Yahuah even when those other people reject Yahuah. An intercessor's heart is touched for those in need; they have a burden for that person. They let the Spirit give them comfort about it, instead of worrying and when a positive testimony comes, they celebrate and praise Yahuah with thanksgiving for the answered prayer. Intercessors are called to pray for a specific person or mission or task. Such intercessors sometimes get a strong sense of coming danger about whom they're praying for. They often report they are driven to their knees to pray about something they can't otherwise have known was happening. Intercessors also pray for the world, nations and political leaders, praying that the Spirit would lead them or change them. Yahusha wants you to agree with other believers in prayer. The word; agree is translated in The Amplified Bible as “agree and harmonize together or make a symphony together.” The word symphony means “all available instruments in harmony.” You must have your spirit, mind and actions in agreement with the Word. Agreeing spiritually is to agree with the Word of Yahuah. Make up your mind Yahuah’s Word is true and that it will come to pass. The very last sentence Yahusha says that He will personally be in the midst of two or three believers who are coming together in His name to pray about a particular matter. If Jesus will actually be in the midst of two or three believers who are praying in agreement and in unison with one another to Yahuah the Father, then this means Yahusha is hearing their prayer loud and clear. And if Yahusha is hearing their prayer loud and clear, then those two or three believers will have a very good chance on getting their prayer answered by Yahuah the Father. Yahusha is telling us with the specific wording in this verse that there is extreme power in group prayer, where a group of believers all join together in unison, in harmony, and in agreement with one another on what they are going to pray about before Yahuah. This is not to say that one-on-one individual prayer to Yahuah is not powerful and effective. Yahuah wants you coming to Him most of the time on a one-on-one basis in your own personal prayer life to Him. Yahuah wants more than anything else that you seek to establish a one-on-one, close, Intimate, personal relationship with Him. And in that personal one-on-one relationship with Him will be the benefit and blessing to be able to pray directly to Him and present any special prayer request. However, there will be other times that He will want you to group together and unite with a few other believers in your specific prayer requests to Him. Yahuah wants your prayer life to be something very special between you and Him, and He will not want anyone else getting in the middle of it. This will be your special secret place and spot with Yahuah. This is why you will hear some people use the word "prayer closet" to describe that special, secret and intimate place that they, and only they, will have with their Mesasiah and Savior. As a result of this very special and personal space that will be established between you and Yahuah, many times Yahuah will answer your personal prayers if you simply approach Him all by yourself. You will not need to call other people to pray with you. Prayer is serious business with Yahuah and you do not want to be bothering other mighty prayer warriors with minor and trivial matters that can be handled solely between you and Yahuah. Again, you have to use good common sense on deciding when to call in other prayer warriors and when not too. Many of the everyday problems, issues and obstacles that you are forced to face can be easily handled between you and Yahuah on a one-on-one basis. You will not need to involve anyone else on these kinds of smaller matters and issues. True seasoned and experienced prayer warriors will know when to join forces with another believer and when not too. These powerful prayer warriors are so Spirit connected and so in tune withYahuah, they will know when to join forces with someone else and when not too. Many powerful miracles can be brought down from heaven by individual believers who know how to go one-on-one with Yahuah in their own personal prayer life with Him. You do not always have to be calling on other believers every single time you have something to pray about, you need to trust and rely on Yahuah to answer you prayers, because of your personal relationship with him. As great and as powerful as individual prayer is with Yahuah, there is also a definite time and place for united group prayer. There will be times that you will want to pull out all of the stops and call on other prayer warriors to storm the gates of heaven with you to try and get Yahuah to answer your prayer in a mighty and powerful way. When we begin to trust Yahuah once again and turn from our sin, He comes into our lives to begin a new relationship of love with us. Yahuah is in every Spirit Filled believer. Our faith and love towards Yahuah will lead us to recognize His presence in us, to talk with Him, to listen to Him, to sense Him. This is prayer. We express our thanks, our faith, our love, and our hopes with Yahuah in prayer, and we receive from Him answers, assurance, guidance, peace, strength, power and revelation of who He is and what He wants us to do. Prayer is where our dedication to Yahuah is tested. This is where our destiny is really determined.